This challenge was due to be posted last Thursday, however, on Wednesday evening I received the terrible news that my brother’s soon to be father-in-law had been killed in a motorcycle accident. Dave was a wonderful man who was so full of life and laughter. It is a heartbreaking loss for his family but also all those who knew and experienced Dave (it has been said that you didn’t just know Dave, you experienced him!). Sadly Dave died as a result of a car driver pulling out in front of him, the type of accident bikers cannot account for. His family have already tried to increase awareness for other bikers and so I start this post with my condolences and love to the Cook family but also a message to all those who use the roads – please be aware of motorbike riders, look twice maybe even three time before pulling out. That final check could stop another family having to go through this painful experience. Rest in peace Dave, you will be sadly missed by all those who had the pleasure of knowing you. This challenge was suggested by my friend Danny and it was a bit of a tricky one for me. Sweet potatoes have soared in popularity in the UK recently and a quick search online revealed lots of recipes for sweet potato brownies. However, Danny specifically requested the brownies be gluten free. 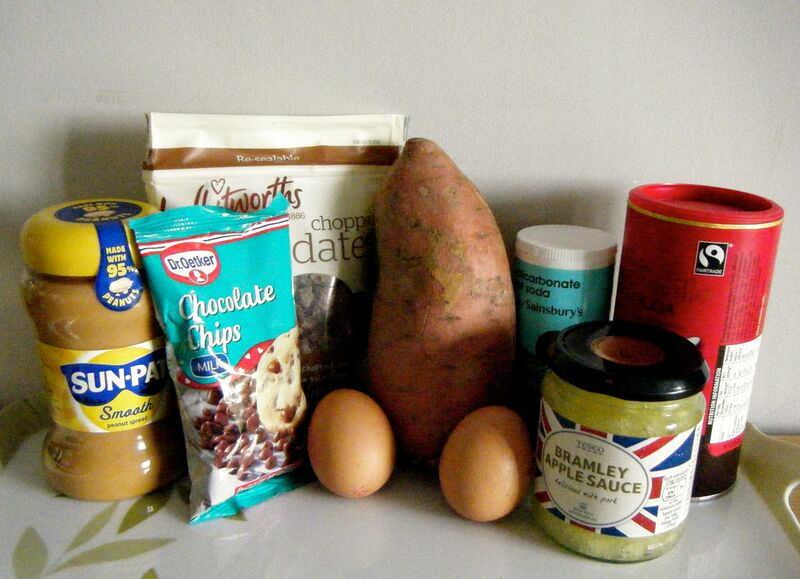 Trying to find a simple recipe for gluten free sweet potato brownies was more difficult. All the ones I found used ‘cups’ for the ingredients measurements (which I never use!) and also gluten free flour. I wanted to avoid using a gluten free flour and so I searched until I found a recipe which used other ingredients. I started off by cooking the sweet potato. I’ve made sweet potato fries before, but I wasn’t sure of the best (and quickest) way to cook the sweet potato for mashing purposes. I did a bit of research and decided to use the microwave. I simply pricked the potato with a fork and popped it in the microwave on high for 8 minutes (turning it over half way through). After cutting the potato open, I realised this wasn’t quite long enough to cook it all the way through. However, the outside bits were soft enough to give me 130g of mashed potato. 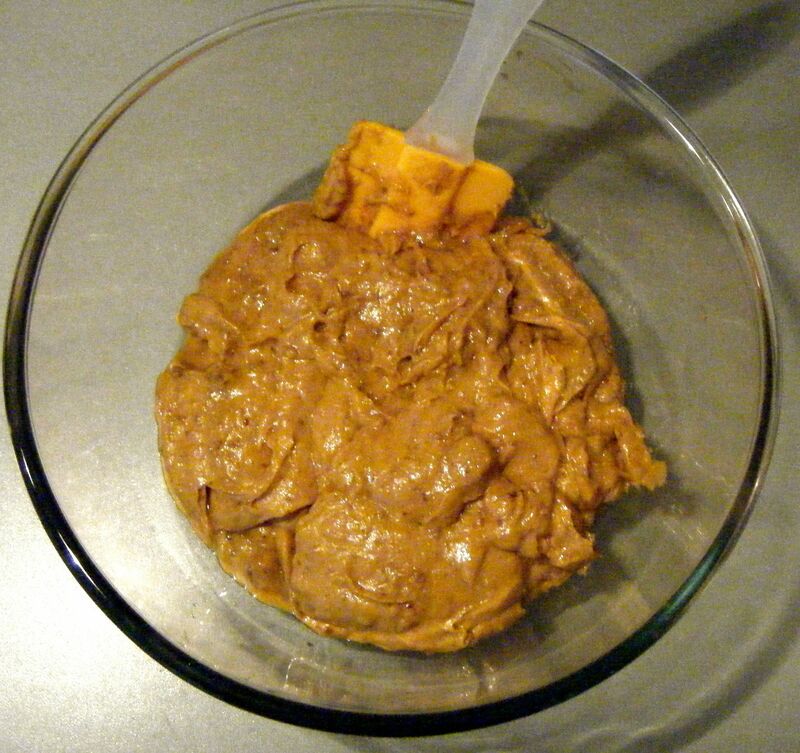 Whilst the potato was in the microwave, I added my dates and peanut butter to a food mixer. 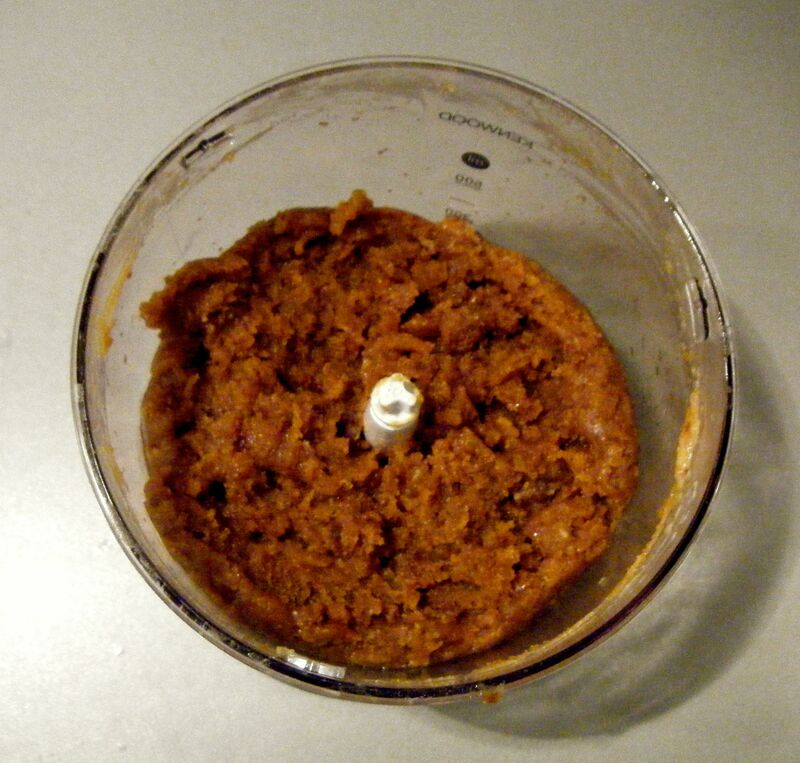 I then added the mashed sweet potato and blitzed it until smooth. This actually took quite a while because the mix was so thick. I was slightly worried the motor on my mixer was going to blow, it definitely got very hot but managed to survive the challenge! 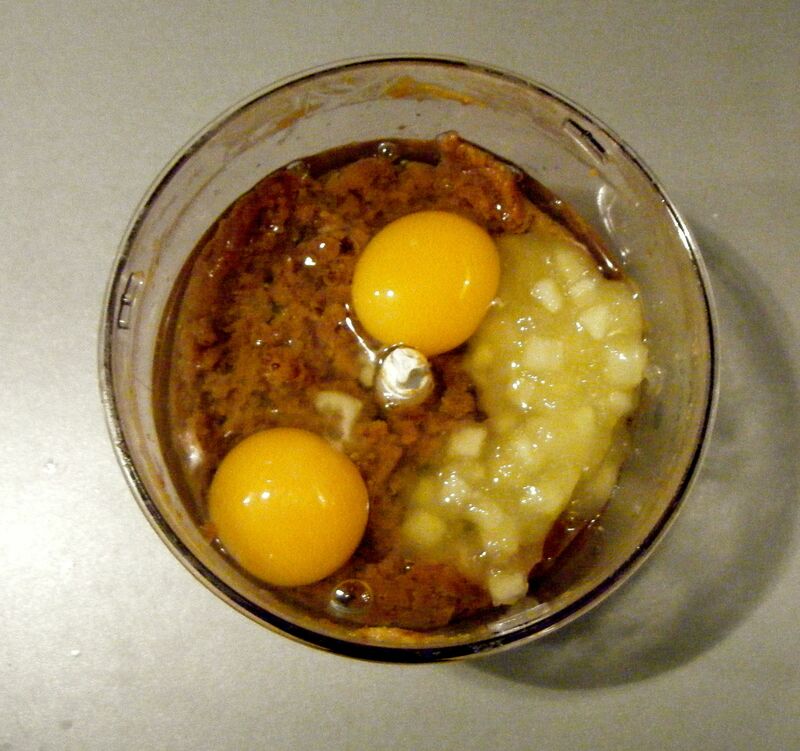 Once the mixture was smooth, I added the eggs and applesauce and blended the mixture until it was combined. I then decided to tip the mixture into a large bowl before adding the final ingredients. This is mainly because my mixer is small but also the motor was really hot after working such a thick mixture so a rest was clearly needed! 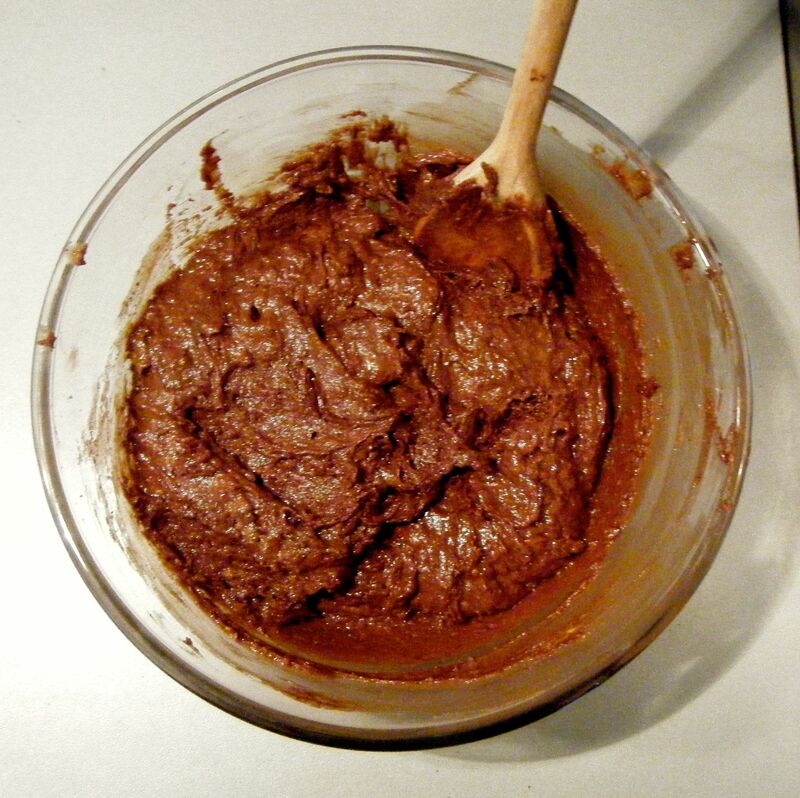 Once the mixture was in the bowl, I sifted in the cocoa powder and bicarbonate of soda. I tried mixing this together with a spatula but it was so thick, the tip came off the handle! So I switched to a nice sturdy wooden spoon and it came together nicely. Finally, I added the chocolate chips before spooning the mixture into my dish (9×9 inch pan) which I had lined with baking paper. I popped the dish into my pre-heated oven on 190 degrees celsius. I checked the bake after 15 minutes and re-set the timer for another 5 minutes. I then checked it again and decided to give it another 3 minutes. When I inserted my skewer it wasn’t coming out completely clean but the coating was melted chocolate rather than uncooked batter so I decided it was done. I left the brownie to cool in the tin for 10 minutes before popping it onto a cooling rack to cool completely. 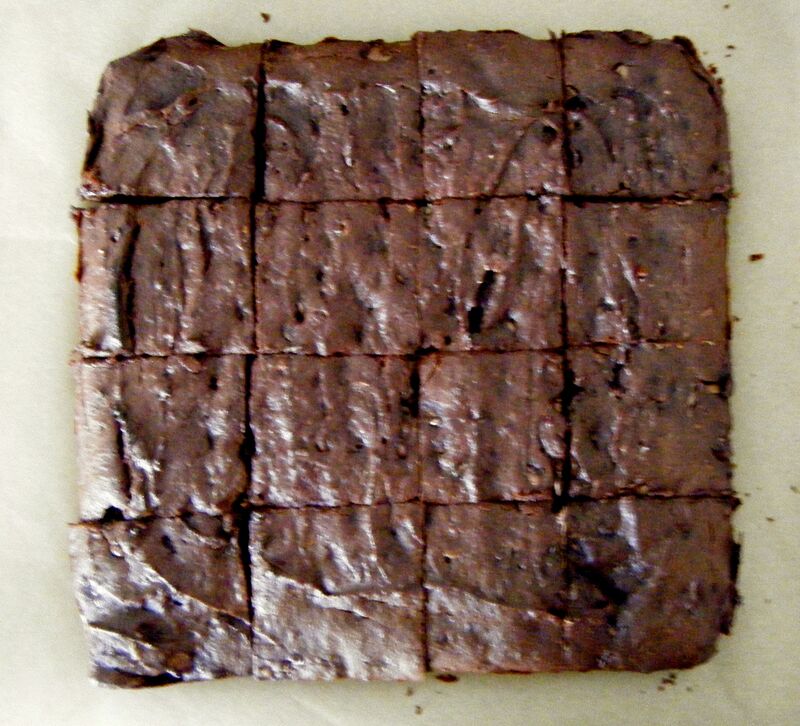 I then chopped it up into squares and packed the brownies up to take round to my friend’s for the evening. Dave and I spent the evening with our friends Matt and Helen, where we enjoyed a beautifully cooked lasagne and a homemade victoria sponge cake made with lemon curd and a coconut topping – all courtesy of Helen. 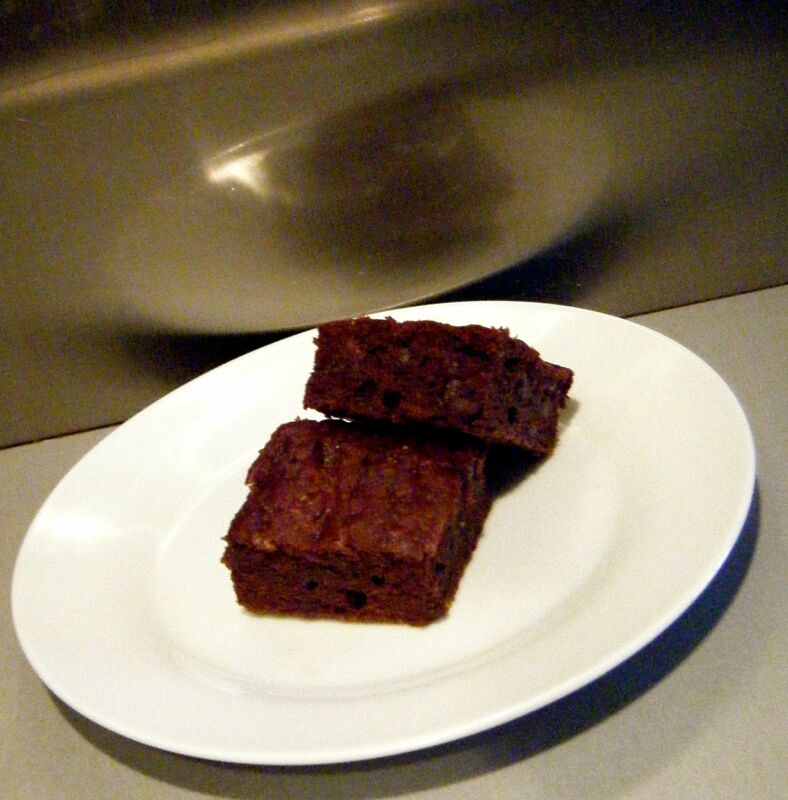 Helen is a keen baker, a celiac and a chocaholic making her the perfect taster for my gluten free brownies. The verdict – a success. We all enjoyed these little chocolate treats; even Dave who had turned his nose up at the idea of potato in a brownie (he didn’t believe me when I tried to tell him all brownies have potato in! hehe). 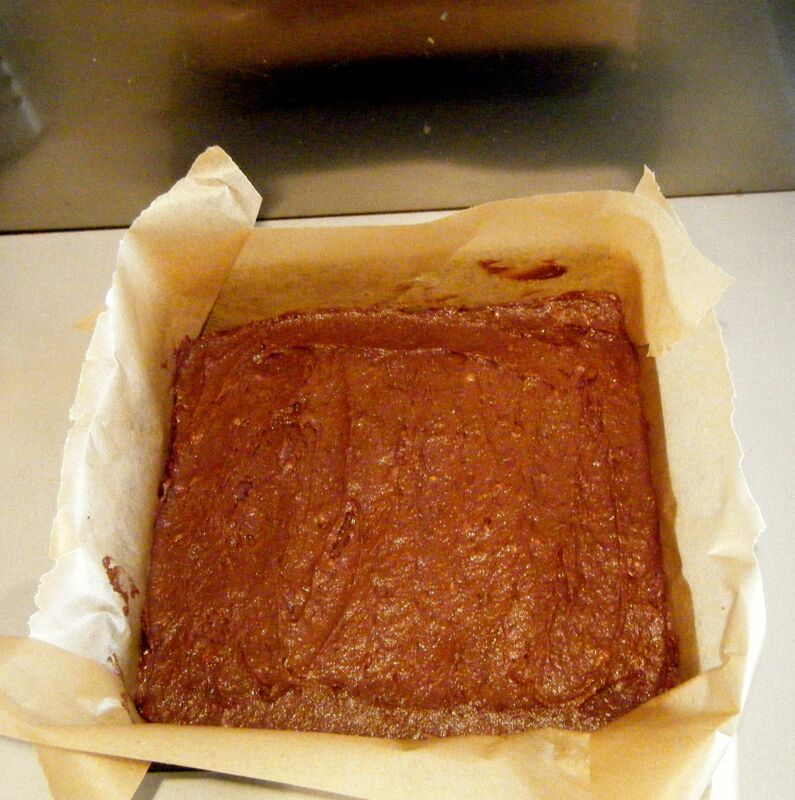 The peanut butter added a really nice flavour to the brownies and I will definitely be making these again! Coming up next, Challenge No. 26 – chilli con carne. 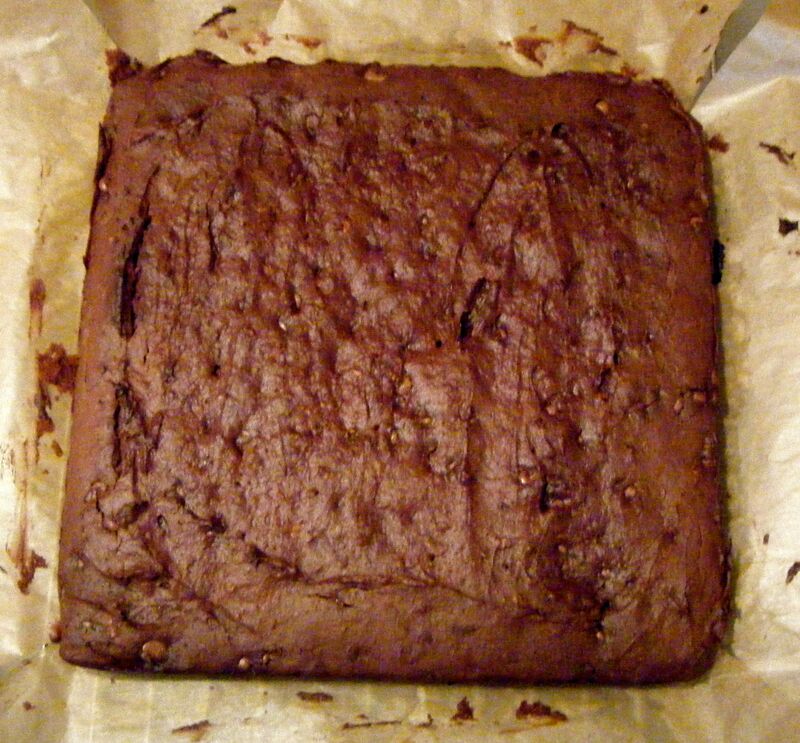 This entry was posted in Challenge 52 and tagged Baking, brownies, Cake, Challenge52, Chocolate, Eggs, Food, Gluten-free, Sweet potato by MyGastroAdventure. Bookmark the permalink. So sorry for your loss. And lovely brownies of course – I’ve been seeing lots of beetroot and avocado based brownies but this is the first time I’ve seen sweet potato ones – definitely worth a go!